Welcome to Tim Jon Salon, your full service salon specializing in hair color and cutting edge styles. 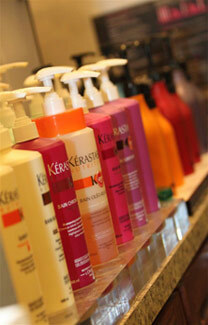 As your exclusive Kérastase and Kevin Murphy salon and retailer, we believe in caring for you, and your hair. Our clients are most important, and it is our goal to ensure that your salon experience is an unforgettable one. Thank you for the opportunity to brighten your day and help you achieve your most beautiful you. The best compliment we can receive is a referral!